Our advisors assist us in connecting with partners, sponsors, and individual supporters. Georgia Antonopoulos is a passionate nonprofit executive and consultant with experience leading bold change throughout all life cycles of an organization. She currently serves as Executive Director of Thrive – The Alliance of Nonprofits for San Mateo County. Her previous roles include CEO of the Boys & Girls Club of the Coastside, Director of Education and Training and Senior Consultant for the Center for Volunteer & Nonprofit Leadership in San Rafael, and Director of the Center for Nonprofit Management at Stonehill College in Easton, Massachusetts. 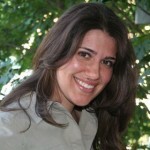 She is a founding board member for the Massachusetts Nonprofit Network. She has also served as a trustee for the Massachusetts 4-H Foundation and board member for the Boys & Girls Club of Brockton. Keith Battle has been working in the video industry for 15 years producing content for Bay Area schools, non-profits, musicians and martial artists. His current project, “Beyond the Gap”, will tackle the complex issue of the “achievement gap”, in which many students of color find themselves left out of the tremendous benefits and opportunities of the tech boom. 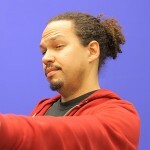 He shares his passion for visual storytelling in classes and workshops he conducts at the Bay Area Video Coalition. He is the co-instructor of SFUFF’s storytelling for urban planners workshops alongside Dimitri Moore. Keith has been building imaginary cities, skateparks, and community centers from an early age influenced by his mother who is an architect and city planner. 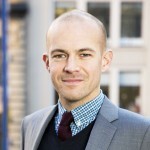 Noah Christman is responsible for overseeing the creation and execution of SPUR’s programming, tours and exhibitions for the organization’s offices in San Francisco, San Jose and Oakland. Noah has administered SPUR’s programs since March 2011, organizing more than 230 unique events annually. Prior to moving to the Bay Area in 2011, Noah was based in Orange County and worked in the fields of community design and development, proposing urban design solutions for both domestic and international projects including mixed-use urban infill in California, new town concepts in China and a sustainable school for women and children in rural Tanzania. Leah Nichols is a designer and filmmaker based in San Francisco. Her work explores social justice themes and community politics through a range of visual storytelling techniques, from street art to short films to block parties. She has collaborated with artists on projects about gentrification, written about neighborhood change, and spoken about the importance of public open spaces. Her short films include Where My Ladies At, which seeks to reveal the lack of female representation in public art, and Asians in America (CAAMFest selection), which chronicles the history of Asian-Americans through three stereotypes. Lydia Tan is Senior Vice President at Bentall Kennedy, a large real estate investment manager, with responsibility for development activity in the Western United States. Prior to joining Bentall Kennedy in 2014, she held executive level positions at Related California and BRIDGE Housing Corporation, where she oversaw the development and financing of affordable and mixed income communities, plus large scale redevelopment efforts throughout California. Her portfolio of experience encompasses more than $5 billion in assets, including more than 10,000 multi-family homes, and more than 1 million square feet of non-residential uses. 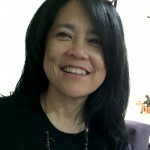 Ms. Tan is extensively involved in the non profit community, including Board positions for S.H. Cowell Foundation, SPUR and Habitat for Humanity Greater San Francisco. 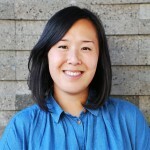 She is also a member of ULI and the Stanford Real Estate Council.